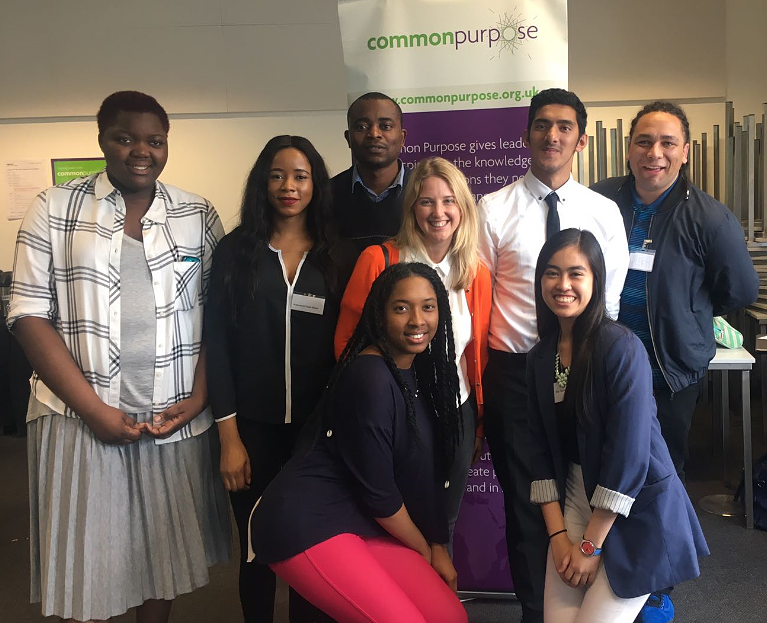 33Sixty is a leadership programme that equips aspiring Commonwealth leaders (aged 18-30) with the skills and the networks to make a difference, now. Students worked within an international group to develop solutions to some of the planet’s most pressing issues.Students then got the chance to present their ideas to the Commonwealth Secretary-General as she searches for exciting new initiatives to champion on the global stage. UEL students who participated in the programme shared their experiences below. "100 people, 28 ethnicities, 4 days, 3 universities, 1 aim. This merely describes the incredible opportunity of being part of the 33sixty program held in April. Our group got the chance to learn and grow, whilst developing invaluable life skills. Our challenge was to find an answer raised by Baroness Scotland, Secretary-General of the commonwealth. "How can we make London safer and more inclusive by 2030? This task was broken across the 4 days, whilst every day we made new friends, networked and challenged ourselves. Our days were typically split into two; team building and person skills at University Square in Stratford and all across London on excursions to organisations and businesses such as the MET police, TFL, Trust for London, Comic Relief, The Cabinet office and many more. On these trips we begun to see the different ways in which those around us are helping to tackle issues that a high majority face such as the cost of rent and homes in London, safety, travel and childcare. Without us realising, we were all changing our view points, reflecting upon our own personal situation, and begun to work to figure out how we can improve the wellbeing of those around us. "After being split into 8 diverse groups we begun to brainstorm a variety of ideas to provide an immediate way to fix exclusion and danger in our city. On the final day, we had our pitch. To Baroness Scotland herself, and an incredible board, we explained our ideas and how we believed they would help in London. We all had an amazing time and an even better graduation at the end. I think it is incredible to be part of such a progressive program that helped push me to become a better version of myself. Common Purpose excelled themselves in ever possible aspect which made the experience even greater. 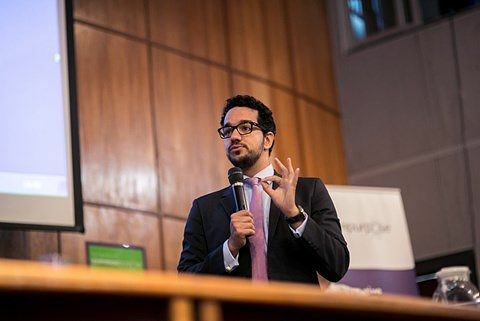 "There are no simple words to summarise how transformative common purpose was for me, but I saw greatness and innovation and raw emotion. This simply explains the sheer greatness of the 33sixty program." "At first, I was a little hesitant to go to 33Sixty as meeting new people and being in totally different environments was out of my comfort zone. However, my personal tutor really wanted me to take the leap and sign up for 33Sixty and I did not regret it. In 33Sixty, I have met a wide range of intellectual people and truly the young leaders of the today. I have met people from all over the world and from various universities who have done amazing things and given me the drive to reach for the stars. "Our main task was to work in a team and produce an idea to create a safe and inclusive London for 2030. But we put our heads together and delivered our idea of tutoring for year 7’s in Newham to prevent them from going into crime which we had to present in front of everyone which was scary but exciting. "My wonderful team along with our lovely mentor Ingrid really pushed me to my full potential and allowed me to step out my box and be creative as I pleased. Throughout this process I have met wonderful people, visited companies such as Trust For London and most importantly learned a lot about myself. I think 33Sixty is an amazing opportunity to meet positive and inspirational individuals, learn how to work as leaders and learning about who you are and how you could impact the world." "The 33Sixty programme was a wonderful opportunity in gaining an understanding of challenges we may face as future leaders. It was also a platform to network with fellow students from Newham College University and Queen Mary University London (not forgetting my very own, University of East London). We shared ideas, collaborated and overall had a good time of our experience. "The week ended with a presentation of our ideas in how London can be a safe and inclusive city by 2030. We had some great speakers come in throughout the week, but my personal favourite had to be Baroness Scotland. Her encouraging and moving speech had a lasting impact on me and my fellow 33Sixty participants." Find out more about how to get involved in 33Sixty programmes here.